There is a mad lunatic in the streets! He's swinging and swiping away all the locals! They all disappear into thin air! Possibly the man behind the disappearance of the dwemer. I find it kind of immersion breaking whenever I kill a civilian that there is no blood or bodies in the aftermath. In Elder Scrolls The Arena, civilians all had a body after you killed them. Perhaps I want to be a maniac you know? Any plans to add something of the sort? Maybe even have unarmed attacks none-lethal to civials for not giving me a quest location but instead give me an assault charge? (That annoys me that while it's in vanilla, its impossible to get). Will bounty hunters be sent after you now if, lets say, you take out a loan and decide to flee town? I noticed in the recent build that you have a random chance of a city guard encounter when you rest if you killed someone. I love that they will seriously go after the player once crime is committed. I hope they do the same when they begin spawning in town. 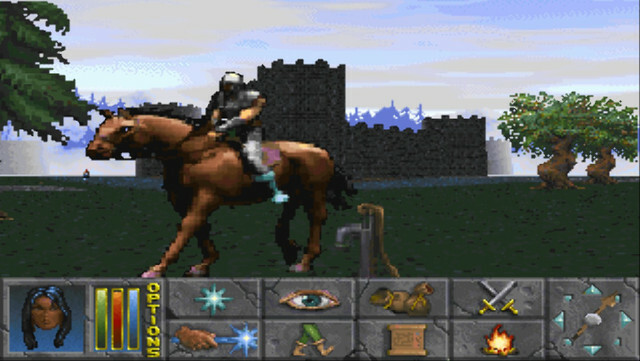 3:Will Horseback riding guards/enemies make it in? 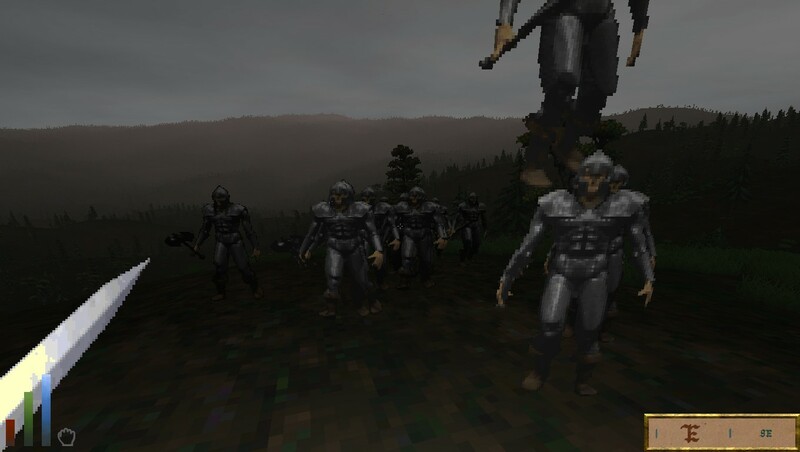 I replaced the guards in the Original Daggerfall to really make them stick out from the crowd and to give myself more immersion in the experience. (Though that was ruined if a city guardsman came for you in a house.) I'd love to see these cut content sprites put to use. 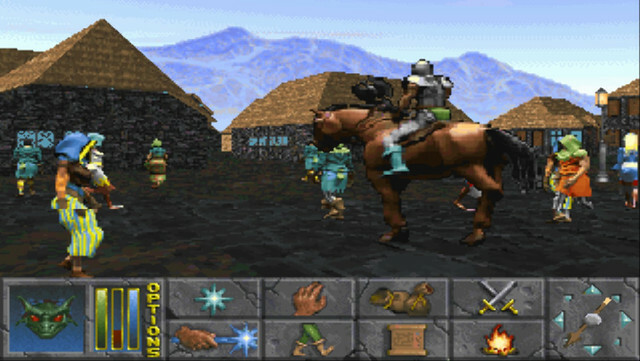 A random ecounter in the wilderness with horse riding enemies! Interkarma actually just implemented the assault charge. It's possible by using a non-damaging spell (for instance, paralysis) on a townsperson. Well I suppose that's one down already. Yes, horses should be high on a list of cut out things to re-implement. We have those animated sprites just sitting there now... but ofc.. thats not a priority atm.